Often times, employers are unaware of the difference between various judgments associated with criminal records. In order to effectively use criminal records to make your employment decision, employers must understand these common terms associated with the record. Here is a list of conviction results for which we often receive calls for clarification. Keep in mind, terminology, exact definitions and actions can vary from jurisdiction to jurisdiction. PRO TIP: Ensure that when you use these types of records to make a hiring decision, you act in accordance with federal, state and local laws. Some of these may not be considered a conviction while under deferred/withheld status. Adjudication Withheld: The defendant was not formally convicted, pending successful completion of probation. If the defendant completes the terms of probation, the case is typically dismissed and may be eligible to be sealed or expunged. If the terms are violated, the defendant will likely be found guilty and sentenced according to the offense. Deferred Judgment: The defendant has entered a guilty plea before the court in exchange for deferred judgment and is not sentenced. Rather, a term of probation is served. Successful completion results in the charges being dropped and may be eligible to be sealed or expunged. Failure to satisfy the terms will result in adjudication of guilt and sentencing for the offense. Deferred Prosecution: As opposed to deferred judgment, deferred prosecution does not require a guilty plea. The defendant is, instead, placed on probation prior to submitting a plea. Similar to the above, successful completion results in dismissal and may be eligible for expungement or sealing. Unsuccessful completion results in conviction and sentencing for the offense. PRO TIP: The defendant has been convicted, but the courts have decided the case may be “hidden” versus “removed” (herein lies the difference). In nearly all cases, sealed and expunged records can not be used for hiring decisions. Sealed: A record that is not removed from a defendant’s file, but is “hidden” from public access. These records are only available to law enforcement and the courts. Others, such as an employer, can only receive and use the record if permitted by law. Expunged: Files that are completely removed from public record, either by destroying the file, returning the file to the petitioner or removing all information pertaining to the petitioner. Because the record has been destroyed, it is no longer available to anyone. PRO TIP: Although both result in sentencing by the court and can be applied in the same manner for hiring decisions (treated as a conviction), one is a decision of guilt by the court while the other is not. Guilty: This is the decision by the court. Obviously, guilty = conviction and will result in sentencing for the offense. Convictions may be used to make lawful employment decisions. 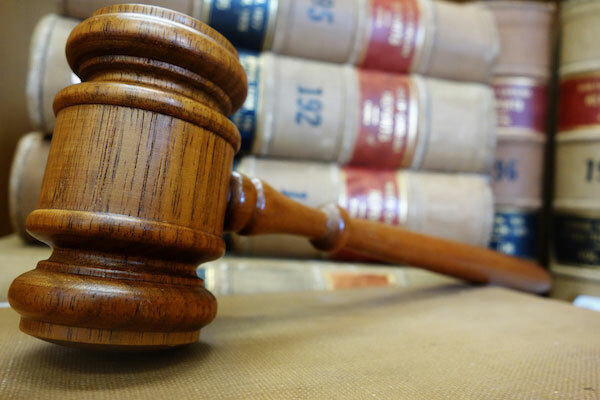 No Contest (or Nolo Contendere): No contest is a plea made by the defendant, that is not an omission of guilty but is conceding the charge without presenting a defense. This primarily effects how the case is used and viewed in the judicial system and can be treated the same as a conviction for employment purposes. Note: Each state (and even courts within the same state) may handle these terms differently, may not use some at all, or may use a different term altogether – such as Deferred Judgment in Colorado is the same as Probation Before Judgment in Maryland. As such, please consult qualified counsel to ensure you correctly apply the information reported on a criminal history background check. As an employer using a background report prepared by a consumer reporting agency (Choice Screening), you agree to follow the FCRA and all related rules as you request, receive and use criminal records in your background check. In addition to understanding the above terms, the below articles will help you remain compliant!